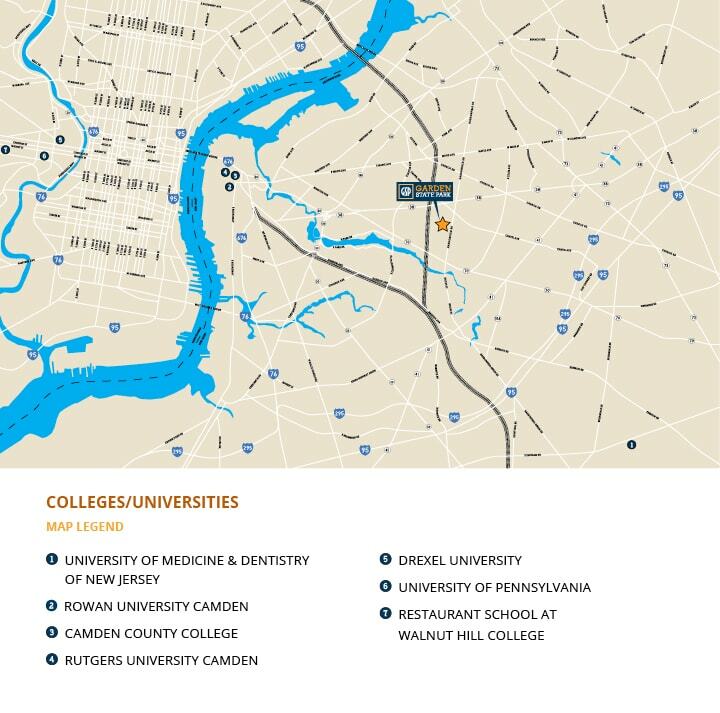 The condominiums and townhome collection at Park Place are situated in one of the most desirable neighborhoods in South Jersey. 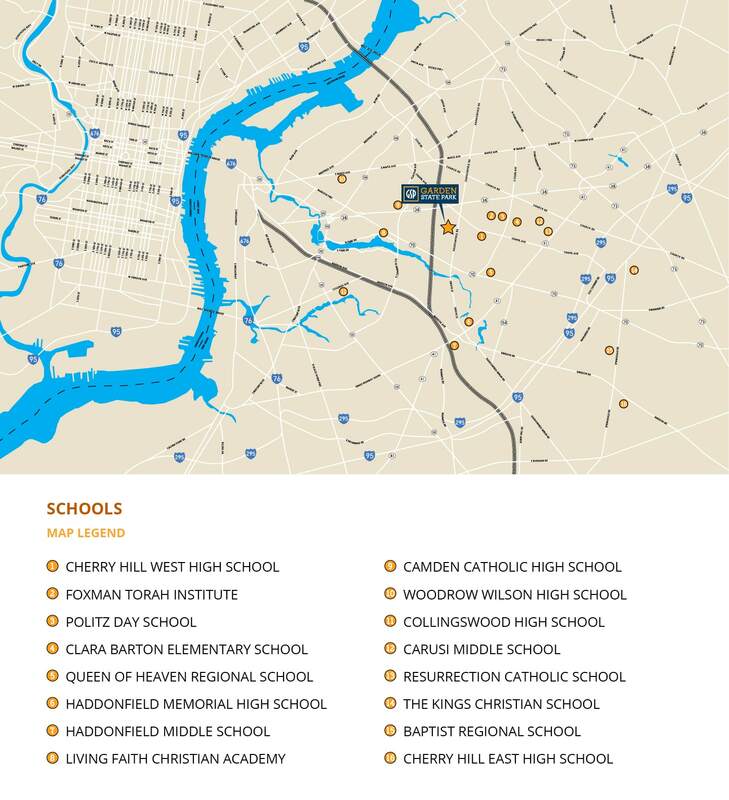 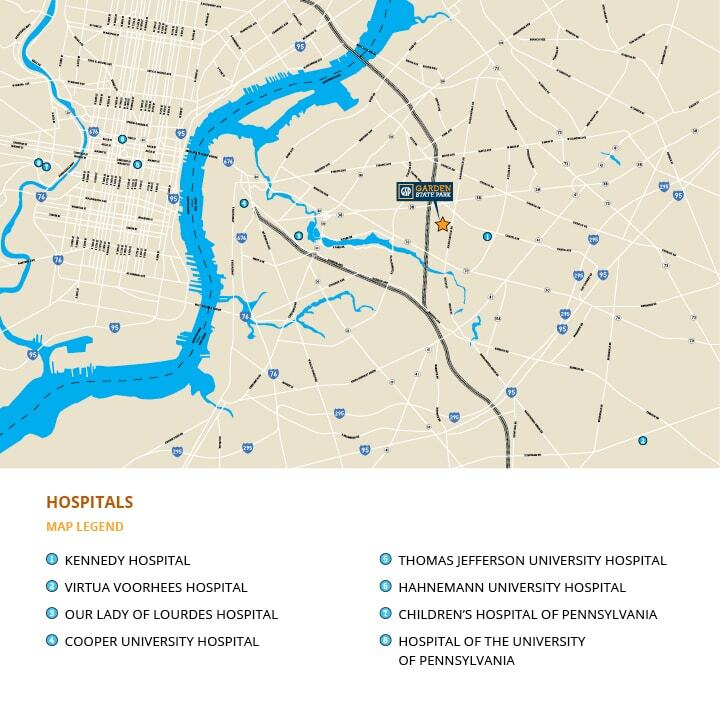 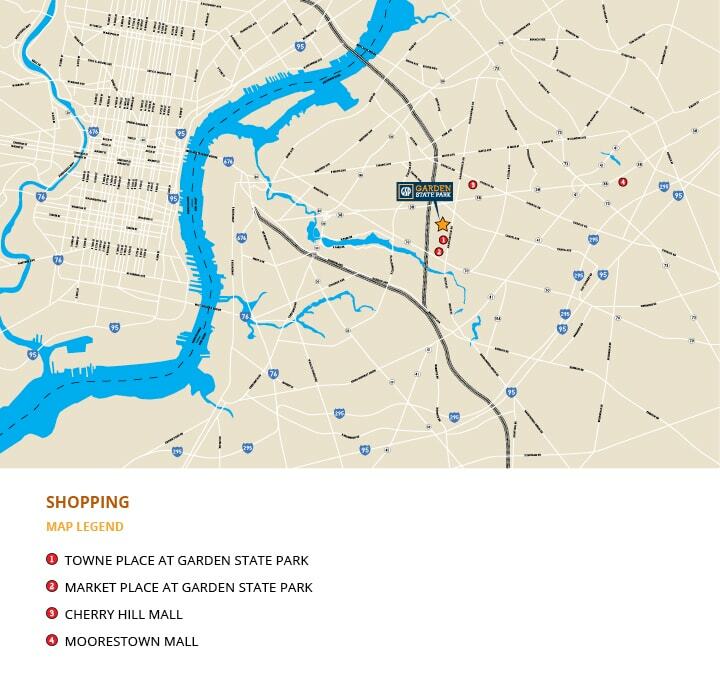 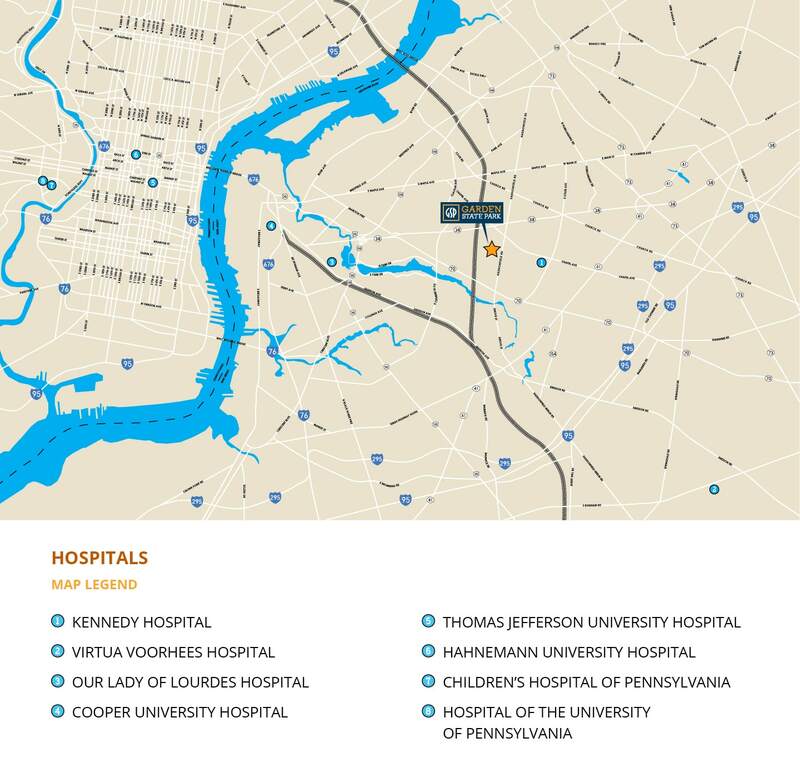 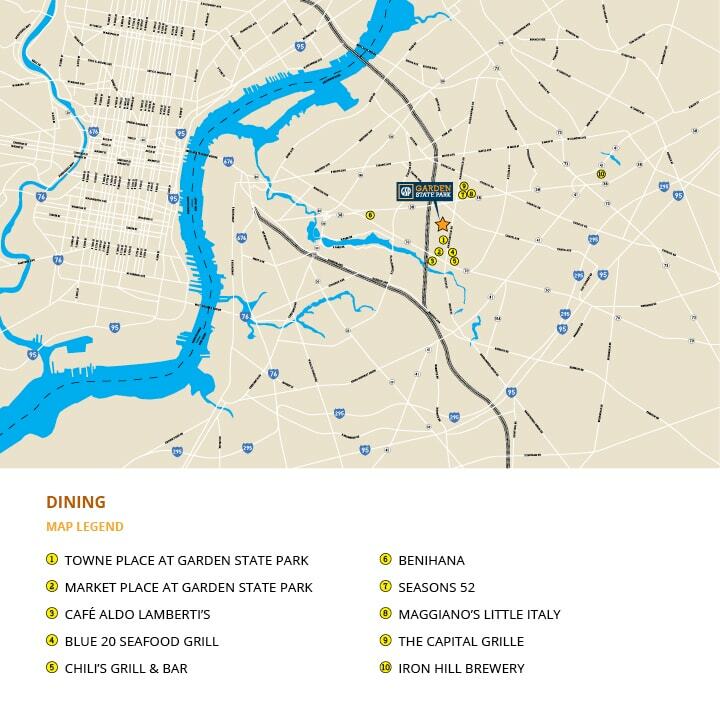 Within minutes of Garden State Park, you’ll find the region’s best hospitals, restaurants, universities and schools — both public and private. 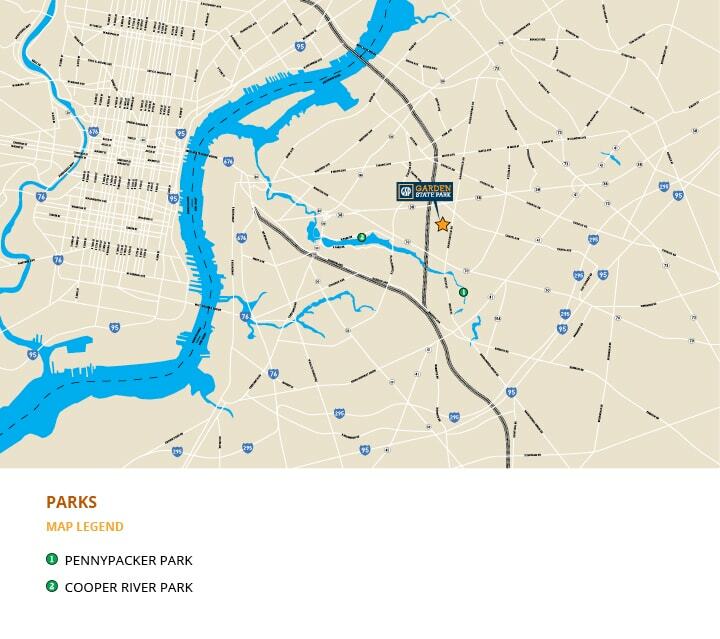 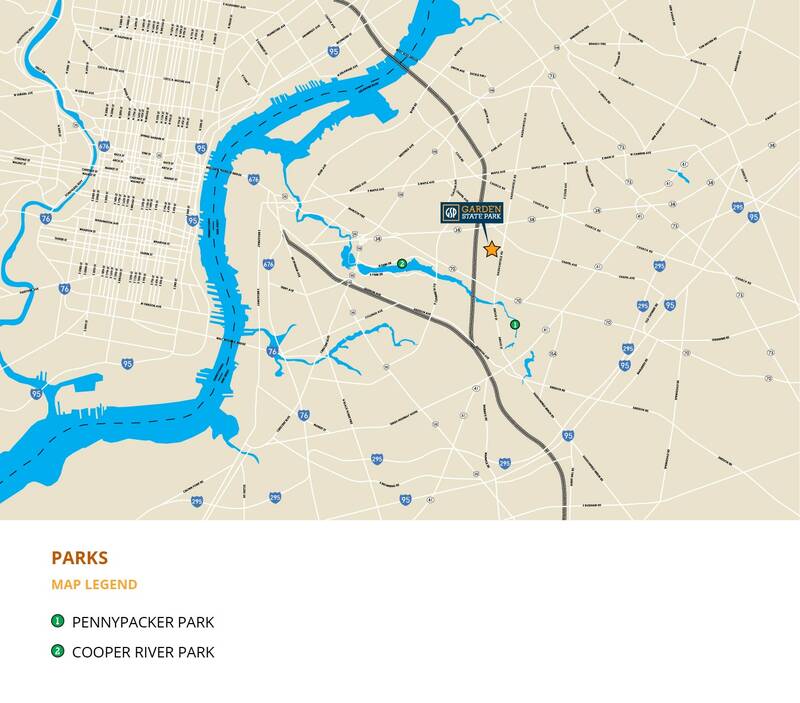 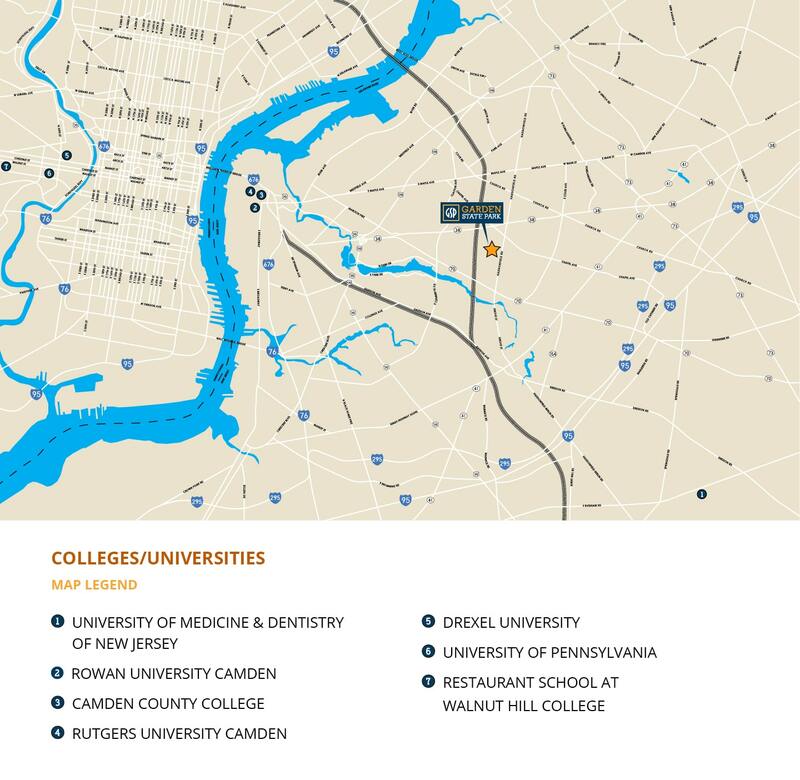 In addition to the Community’s ambling parkland, walking trails and resort-style amenities, you’ll enjoy one-of-a-kind recreation – like Cooper River and Pennypacker Parks – just a short hike away from Garden State Park. 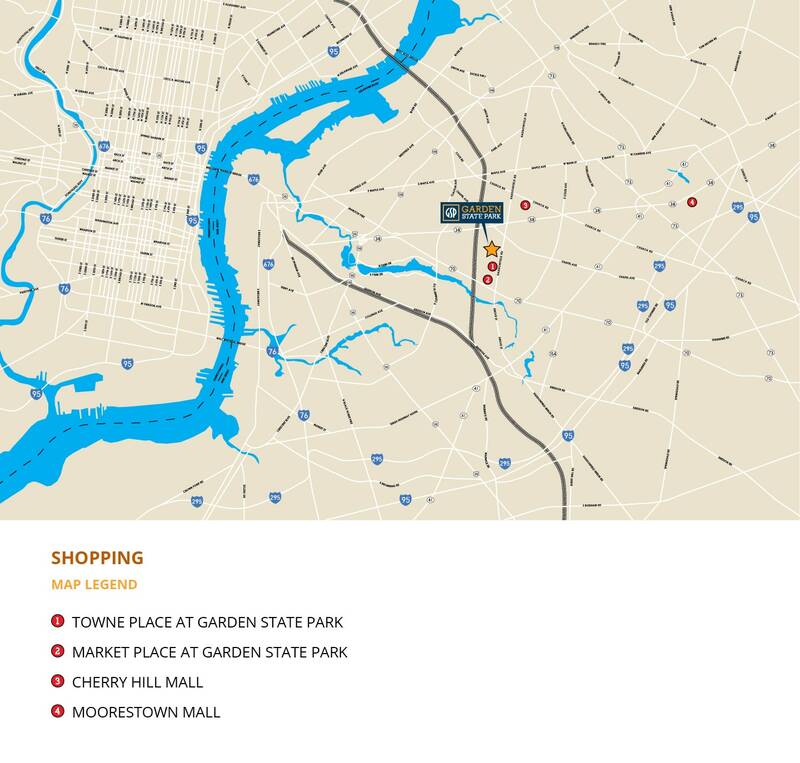 Not to mention all the fabulous shopping … don’t get us started on the shopping!